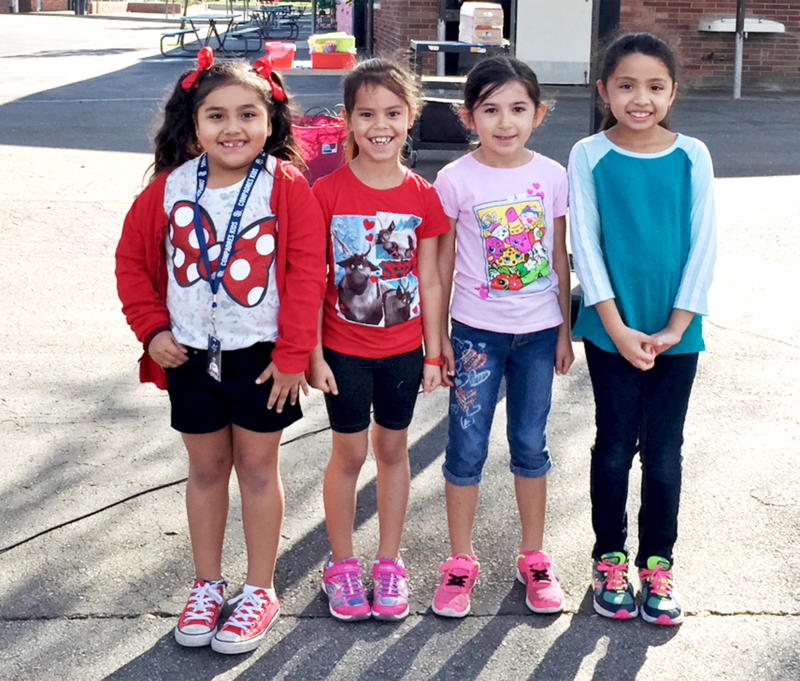 EAST WHITTIER – Reflecting a deep commitment to pursuing healthy lifestyles and giving back to their communities, Orchard Dale Elementary students raised over $3,500 in donations through the American Heart Association’s (AHA) Jump Rope for Heart program. All donations go to the AHA for lifesaving cardiovascular research and programs. This is the 11th year Orchard Dale students have raised money for the charity. The school’s transitional kindergartners (TK) to fifth-graders enlisted the help of their families, who successfully employed social media to reach friends, raising over $1,500 just in online donations. The top contribution came from Orchard Dale kindergartner Kaylie Saldivar, who raised $405 through cash, online donations, and matching funds from Home Depot. The AHA kicked off the charity event with an introductory assembly in late January, when students learned about some of the common heart maladies that affect millions of Americans. More than 600,000 people die of heart disease every year, according to statistics from the AHA and the Centers of Disease Control and Prevention. Once the fund-raising period began, students were awarded prizes for reaching donation goals. Students who raised $5 received a lanyard with a Rory the Lion charm; those who raised $20 received a jump rope; and those who raised $50 received a commemorative T-shirt. On Feb. 15, Orchard Dale students staged two assemblies, the first for TK through first-grade students. 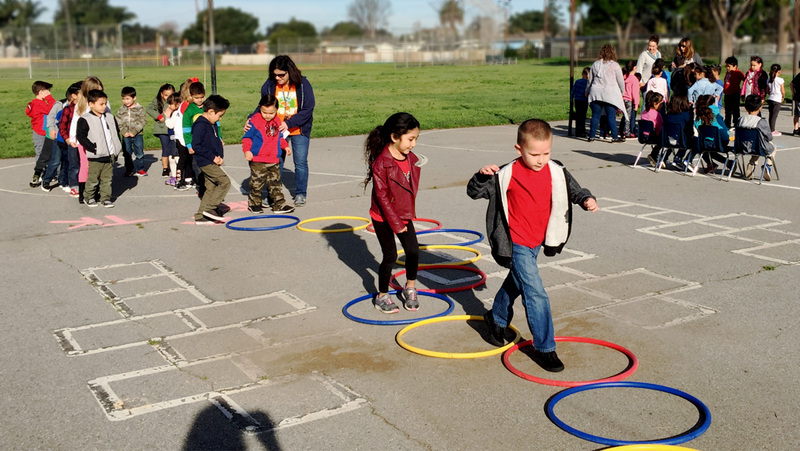 The TK and kindergartners navigated an obstacle course made of hula hoop rings and wiggle ropes, while the first-graders held a competition to see who could do the most jumps in three minutes. The second assembly featured second- through fifth-graders waging their own jump-roping competitions, including one challenging students to jump rope the longest. The winning students at each grade level received a jump rope and the top overall winner received a medal from the American Heart Association. 032217_ORCHARDDALE_JUMPROPE1: Orchard Dale Elementary School kindergartners navigate an obstacle course made of hula hoops and wiggle ropes during the school’s “Jump Rope for Heart” fundraiser on Feb. 15. Orchard Dale students raised more than $3,500 in cash and online donations for the American Heart Association to fund lifesaving cardiovascular research and programs. 032217_ORCHARDDALE_JUMPROPE2: Orchard Dale Elementary School first-graders are all smiles after participating in the school’s “Jump Rope for Heart” fundraiser on Feb. 15. Students from transitional kindergarten to fifth grade raised more than $3,500 in cash and online donations for the American Heart Association, then competed against each other in a series of jump-roping contests, with the winners receiving lanyards, jump ropes, T-shirts and medals. Orchard Dale Elementary School kindergartners navigate an obstacle course made of hula hoops and wiggle ropes during the school’s “Jump Rope for Heart” fundraiser on Feb. 15. Orchard Dale students raised more than $3,500 in cash and online donations for the American Heart Association to fund lifesaving cardiovascular research and programs. Orchard Dale Elementary School first-graders are all smiles after participating in the school’s “Jump Rope for Heart” fundraiser on Feb. 15. Students from transitional kindergarten to fifth grade raised more than $3,500 in cash and online donations for the American Heart Association, then competed against each other in a series of jump-roping contests, with the winners receiving lanyards, jump ropes, T-shirts and medals.